Size (W x L): * Choose Options Please choose size 8 x 12 8 x 16 9 x 11 9 x 15 9 x 17 10 x 10 10 x 12 10 x 14 10 x 15 10 x 16 10 x 18 10 x 20 10 x 24 11 x 11 11 x 13 11 x 15 12 x 12 Hundreds of sizes not shown Don't see your size? Call us 12 x 14 12 x 16 12 x 18 12 x 20 12 x 24 13 x 13 13 x 15 13 x 17 13 x 19 14 x 14 14 x 16 14 x 18 14 x 20 14 x 24 14 x 28 15 x 15 15 x 17 15 x 20 16 x 16 16 x 20 16 x 24 16 x 28 16 x 36 17 x 19 17 x 27 20 x 20 20 x 24 20 x 28 20 x 32 20 x 36 20 x 40 Hundreds of sizes not shown. Don't see your size? Call us. How Measured and Quoted: Your roof span will measure 8" - 21" larger than your size. 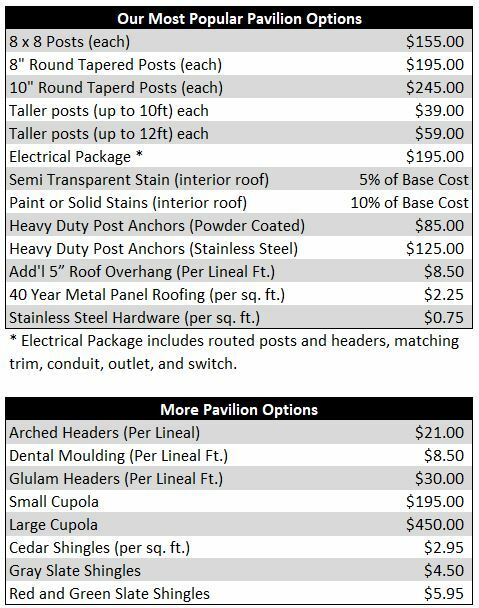 For example, if you order a 12' x 14' size, your roof span will measure 12'-8" x 15'-9". Your post centers will measure 11' x 13'. Pressure treated pine construction faced with Wolf Trim ™ (compare to Azek™) high density cellular PVC trimboard featured in new home construction. 6” x 6” square posts of pressure treated pine topped by a 3/16” thick one-piece solid vinyl sleeve. Posts anchored to concrete or deck with stainless steel powder coated L-brackets and wedge bolts (included). Heavy duty brackets available as an option. 4“ x 8” pressure treated pine beams connect the posts. These beams are faced with high density cellular PVC trimboard (Wolf Trim ™ brand). Spans over 18’ require a middle post (e.g. 16x16 is a four post structure). Structural corner braces (boxed triangular 2x4’s) faced with Wolf Trim cellular PVC trim board, as are post base moldings, and post top. 2x6 and 2x4 pressure treated roof frame construction. Standard roof pitch of 6:12 (other pitches available). 7 1/2" overhang on eaves, 14" overhang on gable ends. Tongue and groove 1x6 pressure treated roof sheating. 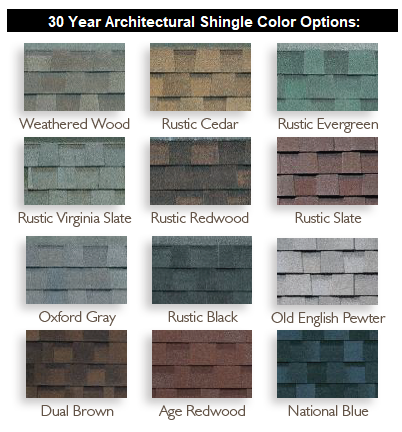 30 year asphalt shingles, choice of 12 colors. Sunburst decorative design on gable end. A set of shop drawings for you to review and approve prior to fabrication. Accompanied by an easy-to-follow assembly manual, and on-call assistance from our carpenters.